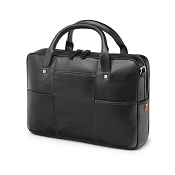 Fedon 1919 British BT-FILE-2-ZIP Leather Laptop Bag in luxurious Black Nappa calfskin. 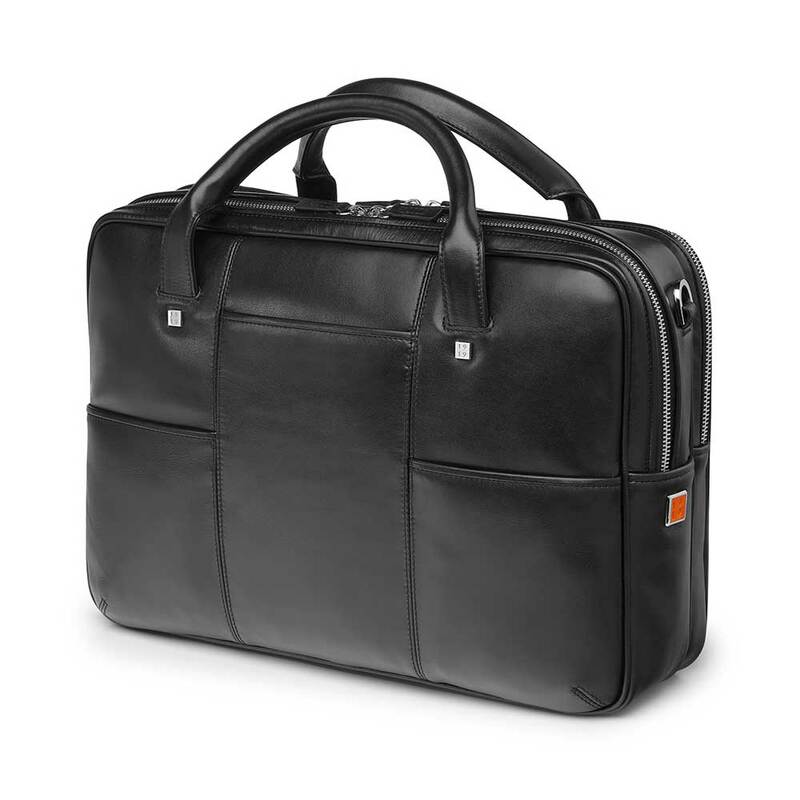 Laptop holder handmade in black luxury leather with a classy top zip document briefcase bag design. It features 2 soft handles, open front pockets, rear pocket and add-a-bag sleeve suitable for trolley. Double-compartments with zip closure. Functional internal compartments and adjustable shoulder strap with leather trims. Excellent notebook computer bag for laptop pc or MacBook. 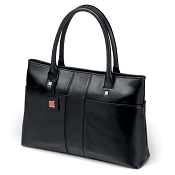 Carry tech items as well as business accessories. 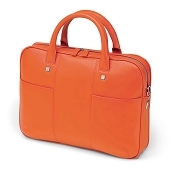 Stylishly elegant, this cool eye-catching executive luxury laptop bag fuses British inspiration with Italian design to create a top quality tech bag for business, work, or travel. 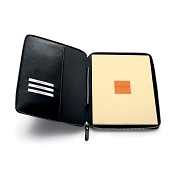 Designed for sharp dressed business executives and chic young professionals. The Nappa leather fine detailing of the British collection express Made-in-Italy excellence through sophisticated design and traditional taste. The softness and solidity of the materials give the articles of this collection elegance and functionality, providing those who choose them reliable products for every time of day.